Just a quick dish for you today. 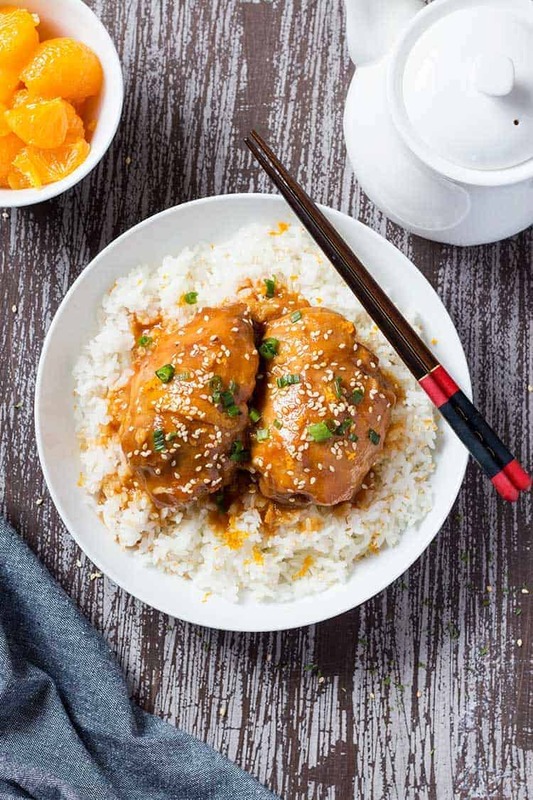 This is my Sesame Orange Chicken, or as my 5-yr-old calls it, “Orange Says Me Chicken”! 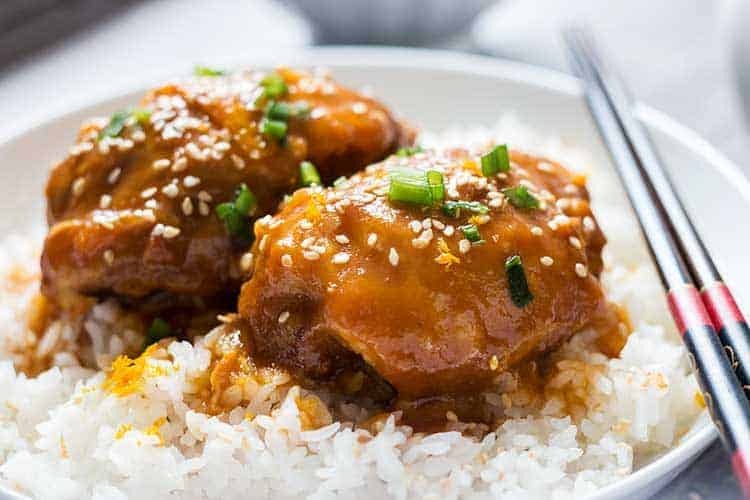 The chicken kind of marinates as it freezes and then again as it thaws, so it gets a great juicy orange flavor. But not too much punch, because the honey barbecue sauce keeps it grounded. We usually serve this over rice, but it is great over noodles, too! If you like extra sauce, double the ingredients (other than the chicken) so there will be plenty to go around. Or "Orange Says Me Chicken" as my daughter calls it. 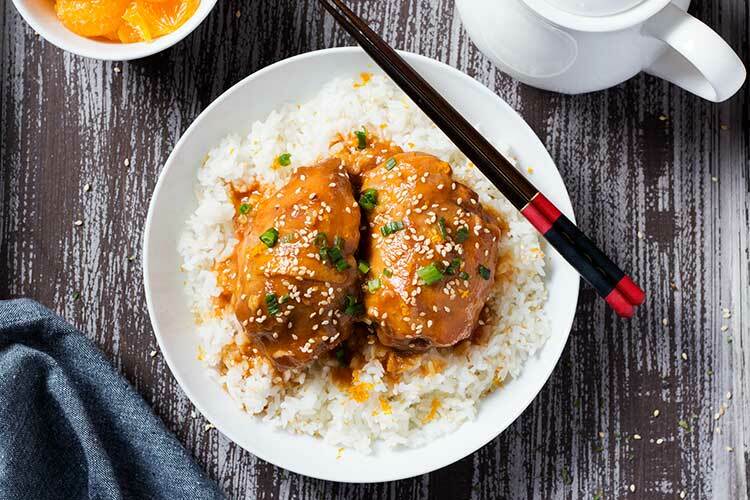 Either way, it's a delicious twist on Chinese takeout, without the takeout hassle or the takeout price! Place first seven ingredients into gallon-size freezer bag. Remove as much air as possible and seal tightly. Knead gently to mix. Lay flat to freeze. Remove bag from freezer and let thaw overnight in refrigerator. Dump contents of bag into slow cooker, and cook on low for 4-6 hours until chicken is cooked through. Stir 2 tablespoons cornstarch into 2 tablespoons cold water in small glass or bowl. Add to slow cooker. Cover and cook on high for 30 minutes until sauce thickens. Serve over rice or noodles. Sprinkle with toasted sesame seeds to garnish. Wow, this does look good! Do you think I could also use regular barbecue sauce? Not sure I could find some with honey in Germany. Would this freeze well after making and could chicken breast be used? It might – the one questionable variable is the cornstarch. It doesn’t always freeze well. But I think the worst that would happen is the sauce would be thin and maybe a little runny instead of thick. It would certainly be worth trying a small amount to see what happens! (If you do, please let me know how it turns out!!) You can absolutely use chicken breasts instead of thighs! 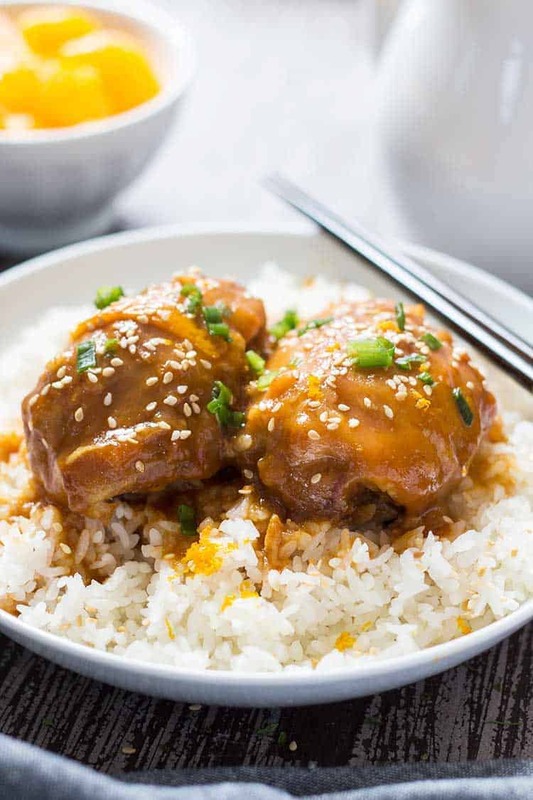 You may want to reduce your cooking time if you use breasts – my slow cooker runs hot, so I never let chicken breast meals go for more than 3-4 hours on low or else they will tend to be really dry because they don’t have all the fat like thighs do.